Have you ever thought of keeping your beautiful flowers as a keepsake? Desna’s Designs does just that— Preserving the moments that matter! 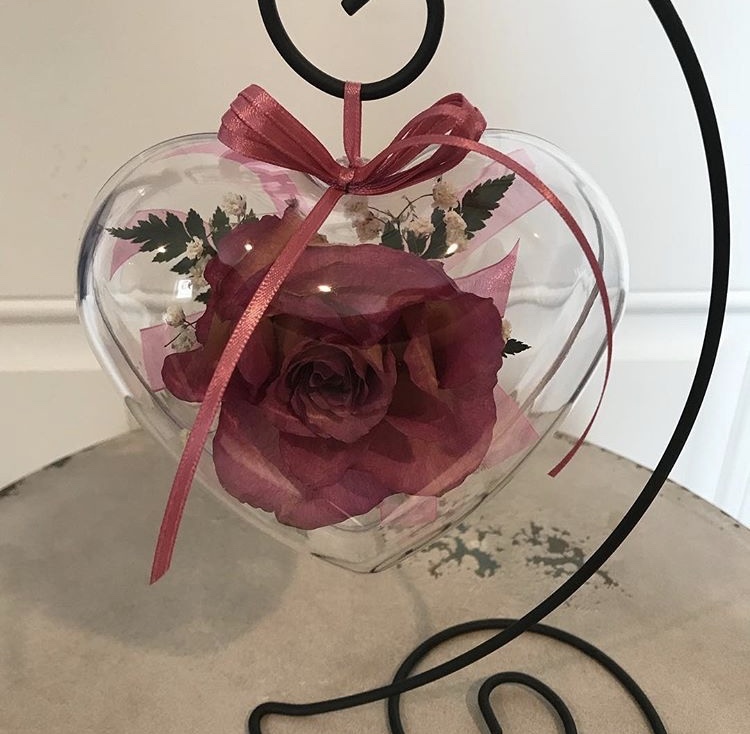 Desna’s Designs creates keepsakes by placing your beautiful flowers in frames or cases that allow you to add photos, stationary, and any other memorabilia from your special day. The owner, Desna, will work with you from day one on designing your perfect piece. Whether you are a “plan ahead” person and arrange to save your flowers from the moment you start planning months before your wedding, or if you wake up the day after your wedding and realize that you want to save your flowers, Desna will work with you. Desna will meet with you, find the right encasements for your budget, and plan the layout and style. Also, Desna always suggests that couples bring more flowers or items, if you have them—THE MORE THE MERRIER! Once the planning process is over, Desna and her team will start the drying of the flowers, recreating the bouquet, designing the case, and, “Ta-da!” all the magic happens in house! How can you keep your flowers fresh for Desna? Keep your flowers in water and in a cool room, like a basement or a room with few windows. How to keep a boutonnière fresh? Keep a damp paper towel under it. Not close to Noblesville? No worries, you can still ship your flowers in. Not only does Desna preserve flowers, she has also teamed up with the ‘ Wedding Gown Preservation Co’ so you can preserve that beautiful dress of yours! But, it doesn’t stop there! They accept and work with other items as well, from your veil, handkerchief, jacket, or gloves. All of these items can be added into the piece once they have cleaned and preserved the dress. What are you waiting for? Call Desna to start your planning process today! It’s never too early to start thinking about how to preserve the moments that matter!